A bomb-capable drone controlled by Houthi rebels exploded over a military parade for the Saudi-led coalition and its allies on Thursday near the southern port city of Aden, killing at least six people. 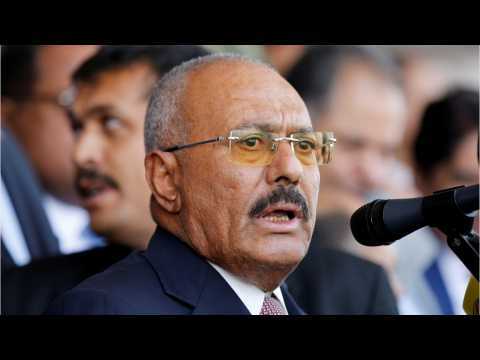 On Saturday, former Yemeni President Ali Abdullah Saleh said that he was ready for a "new page" in relations with the Saudi-led coalition fighting in Yemen if it stopped attacks on his country. His statement came while his supporters battled Houthi in the capital of Sanaa for the fourth consecutive day. The clashes between Saleh’s supporters and the Houthis underscore the complexities of the situation in Yemen, one of the poorest countries in the Middle East, where a proxy war between the Iran-aligned Houthis and the Saudi-backed Hadi has triggered one of the worst humanitarian catastrophes in recent history. Although residents said fighting was still going on in parts of the country, a truce aimed at ending more than a year of war in Yemen began on Saturday. The 48-hour ceasefire by the Saudi-led military coalition raised hopes of an end to a humanitarian crisis. The crisis was caused by a war that has drawn in regional foes Iran and Saudi Arabia. The truce seemed to be largely holding up despite gun battles in the Western city of Taiz and air strikes by the Saudi-led coalition. The strikes have been reported by residents in villages east of the capital Sanaa. Yemen's Saudi-backed government and its Iran-aligned Houthi adversaries blamed each other for the violence in Taiz. Thousands of civilians there, are trapped and many have been wounded. Threatening to break a year-long siege by the rebels, government forces this week made advances on Taiz. Yemeni security officials say the Saudi-led coalition has targeted encampments of Shiite rebels and their allies in the country's capital, Sanaa, and that eight people were killed in the airstrikes. The officials, speaking on condition of anonymity because they were not authorized to speak to journalists, say that warplanes hit at least eight other Yemeni provinces on Thursday. In Sanaa, the airstrikes also hit several houses of military leaders loyal to former President Ali Abdullah Saleh, who is allied with the Houthis. The rebel-held Ministry of Interior says the raids in Sanaa killed 8 people, without specifying whether they were civilians. On Sunday, Sec. 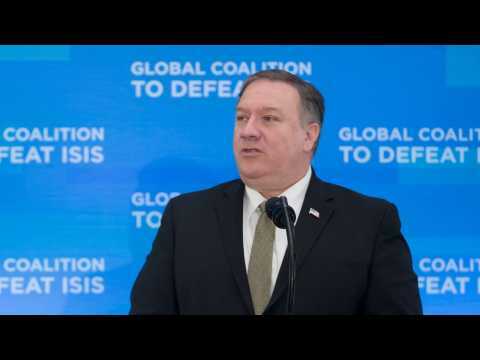 of State Mike Pompeo has to re-certify to Congress that the Saudis and the UAE are taking measures to avoid hurting civilians in Yemen. CNN reports that US Sens. Jeanne Shaheen and Todd Young have sent a letter to Pompeo. The bipartisan letter calls for "a certification that better reflects the facts on the ground" in Yemen. The Senators are concerned that previous certifications were not accurate. A bipartisan group of senators has introduced a resolution to end US support for the Saudi-led war in Yemen. Yemeni soldiers attend to injured people following a rebel drone attack on Yemen's largest airbase. Six soldiers were killed in the attack on the Al-Anad airbase in the government-held southern province of Lahij, and another 12 people were wounded.